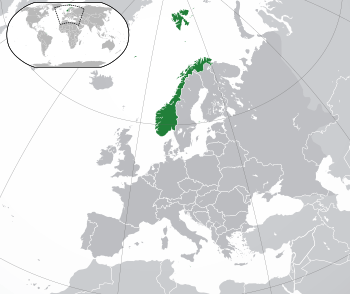 The Kingdom of Norway has been independent since 1905. Its head of state is now King Harald V. The national day is May 17, which celebrates Norway's constitution of 1814. 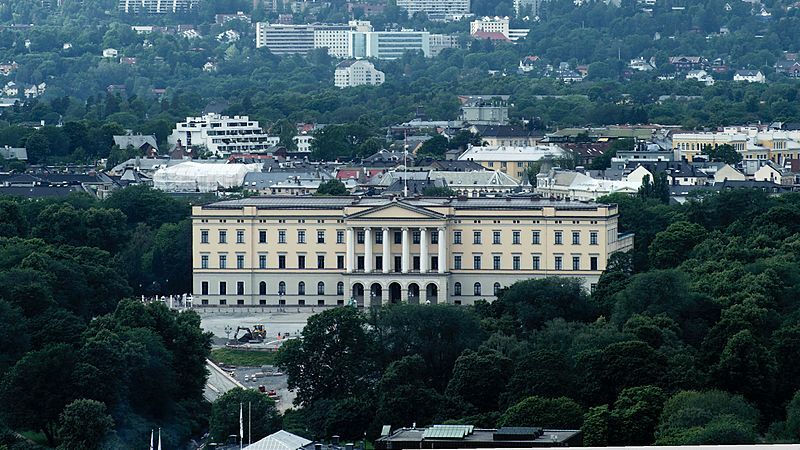 The parliament is called Stortinget and its members are elected by the people every 4 years. 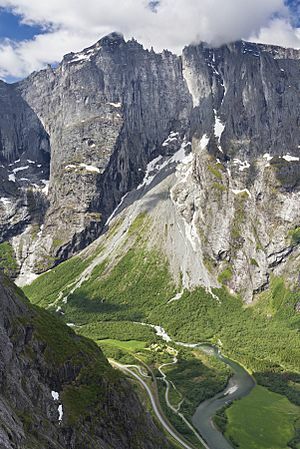 About 5 million people live in Norway. The capital is the city of Oslo. It is also the largest city, with a population of over 942,000. Other major cities are Bergen with 251,000 people and Trondheim with 172,000; both of these have been the Norwegian capital in earlier years. 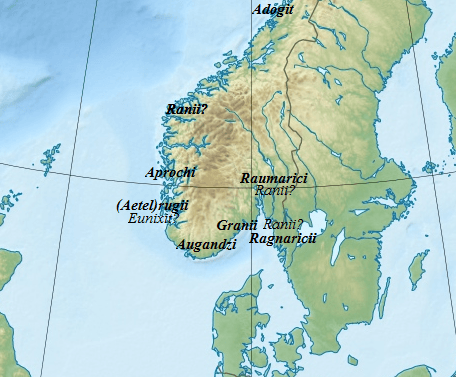 The battle of Hafrsfjord ( 872 A.D. ) resulted in small kingdoms becoming one, larger, kingdom, ruled by Harald I of Norway which is Harald the First. In 1349 half of the Norwegian people died, getting sick from the bubonic plague. The last of the early Norwegian kings died in 1387. The union with Denmark : Norway was the weaker part of the union with Denmark, which lasted until 1814 when Norway tried to get free. The Norwegian constitution was written in 1814 and signed on May 17th that year. However, Denmark, on the losing side of the Napoleon wars, lost Norway to Sweden, on the winning side. Norway could not escape the much greater military force of Sweden, and formally entered into union with Sweden in November 1814. The union with Sweden : It lasted from 1814 until June 7th, 1905 when Norway finally became a separate nation again. In 1905 Prince Carl of Denmark was elected King of Norway and he became King Haakon VII, and his wife, Princess Maud, became Queen Maud. Their son, Prince Alexander of Denmark, became Crown Prince Olav and followed after his father as King Olav V in 1957. Olav and his wife, Crown Princess Märtha, had three children; Princess Ragnhild, Princess Astrid and Prince Harald (later Crown Prince Harald and in 1991 he followed his father as King Harald V). In World War I Norway was neutral and served as a trading nation. Norway tried to stay neutral in World War II, but was occupied by German forces from 9 April 1940 to 8 May 1945. The Government has Norwegian soldiers working in Afghanistan, together with soldiers from other countries that belong to NATO. The Norwegian parachute regiment is known for being very good. Since 2013, the Norwegian Minister of Defence is Ine Marie Eriksen Søreide. 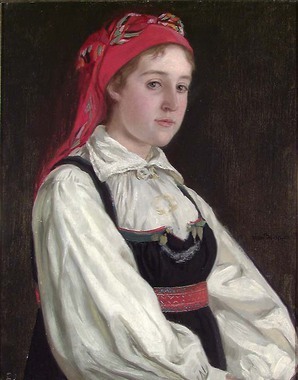 Most people in Norway are ethnic Norwegians. They speak a language that is related to German and early English. Swedish and Danish are so close to Norwegian that most Norwegians understand them. Across Norway, many different dialects are spoken. Norwegians disagree on how to make one correct written language. Therefore, there are two standard languages, Bokmål and Nynorsk. Nynorsk is used in writing in most of the western areas and in the central mountains. Bokmål is written by most people in the rest of the country. Among tourists to Norway, more come from Germany than from any other country. There are also many Swedes, Danes, British, Dutch and Italians visiting Norway. The Swedes and Danes often come in winter to go skiing. The others mainly come in summer. Norwegian culture can be compared to English culture in the way that it is considered a bad thing to show off, as opposed to the US, where this is more acceptable. This is a big aspect of Norwegian culture, and it is related to the philosophy of egalitarianism. Because of this, people will understate things, for example if a Norwegian says something is good or nice, it usually means that it's really great. Norway also has a rich cultural history, going all the way back to the age of the Vikings, and up to today with several writers and painters. The most famous Norwegian cultural person is probably Henrik Ibsen who wrote several plays and novels, and they often upset people because he challenged popular attitudes such as the role of women. Other famous writers include Knut Hamsun, Jonas Lie, Amalie Skram and more recently, Jens Bjørneboe. Famous painters and musicians include Edvard Munch, Theodor Kittelsen, Ole Bull and Edvard Grieg. In Norway power is shared among three branches: The justice sector, the government and the parliament (Stortinget). Norway also has a king, Harald 5, but he does not have any real power and acts as a symbol and ambassador. This form of government is called a constitutional monarchy. Elections are held every four years, and the winner of the election is the party or coalition of parties that gets the most votes and seats in the parliament. After the elections are done, the winners work together to find out who the prime minister should be, as well as who the other ministers should be. Centre Party (Senterpartiet): The Centre Party used to be known as the farmer's party; they no longer use this name, but still they are mostly popular in the countryside and other rural regions, since they work for the environment and protection of Norwegian farmers. For example, making foreign food cost more so that people will buy from Norwegian farmers. This is called protectionism. Norway Facts for Kids. Kiddle Encyclopedia.